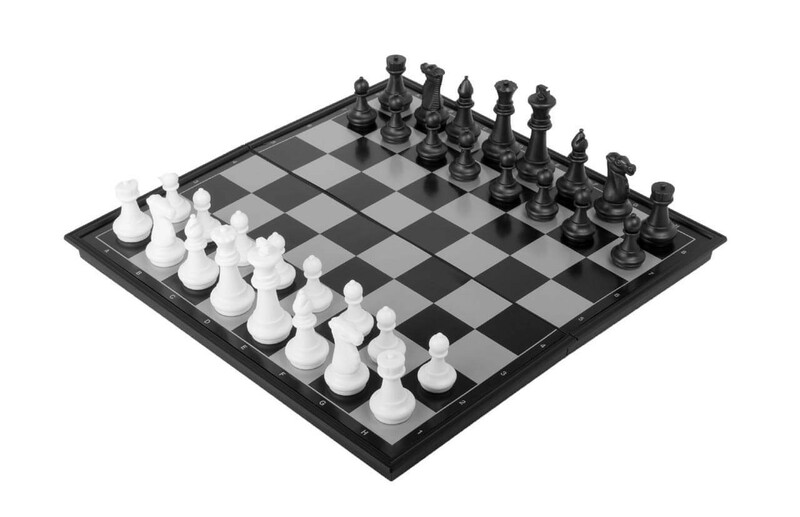 Our large Magnetic Travel Chess Set is a terrific Chess set at an unbelievable price. It features a snap-closed plastic box with plastic hinges that opens up to a 12" x 12" board with 1.625" squares. The nicely detailed pieces stay put with magnetic bases that keep them firmly planted on the board no matter how you hold it. The King is 2.5" tall and all of the pieces are very visible and easy to play with. When folded, the set and board fit nicely in your bag or backpack for later use. If you run a Chess club or teach Chess, we recommend these sets as a great prize and gift! This set also includes non-magnetized Checkers at no additional cost!